The Nigerian Defence Academy (NDA) in Kaduna wishes to inform the general public that the sale of form for the online application for admission into the 69th regular course form is out and are available for sales. Forms will be available from 8th November – 28th Febuary 2017. 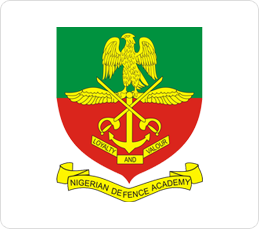 Admission into the Nigerian Defence academy is open to both male and female in Nigeria, interested candidates should log on to the application portal at www.ndaapplications.net, and purchase the form online. Interested candidates are advised to log on to NDA applications portal to generate and purchase their access code, fill the required details and generate their REMITA code and are advised to go to the bank and pay the sum of 3,000.00 only to generate the code for online registeration. Candidates are to go to any cybercafe to complete his or her registration online at the NDA application portal. Candidates applying for admission into NDA must also apply to the joint admissions matriculation Board(JAMB) and carefully select NDA as their choice of university. Candidates are require to submit their applications online, on completion of the online application, candidates are to download an acknowledgement form. 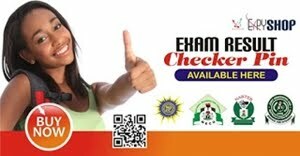 Upon the release of the jamb result candidate are required to go to the applications portal to download their examination card. Only candidates who made the jamb national cut off mark of 180 will be allowed to participate in the NDA entrance examination. The requirements for the different degrees of Programs are so detailed in the NDA Website / application portal. All other information Concerning qualifications, eligibility and examination The centers are contained on the NDA website/Application Portal. Note that working Knowledge of the French language will be an Advantage for applicants. Only candidates who meet the national JAMB limit Will be eligible to participate in the entry of the NDA Examination at their Examination centre of choice. The EXAM will be conducted as an entrance Examination and is scheduled to be conducted on Saturday 22 April 2017. 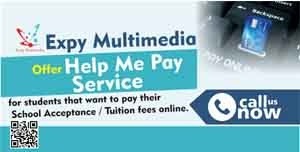 Therefore, all the candidates are required to come along with their acknowledgement Form, Examination Admission Card, JAMB Result Slip, (2) Postcard (3.5 x 5 inches) photograph to the exam Center on the date of the examination. The pictures should show only from the chest upwards and should Contain candidate’s name, exam number, status, Center of exams, course of studies and signature on the back. Only successful candidates at the entrance Examination of the NDA will be Subsequently, be invited for the Selection of Armed Forces, after which the list of Accepted candidates will be published. Candidates admitted to the NDA for the Regular Course will undergo military and academic training as Official Cadets for a duration of 5 years. Successfully Finishing the training, graduands will earn an honors Degree in a basic discipline (BSc, BEng, BA). They are going to Equally earn a commission in the Armed Forces Nigeria. All Regular Course cadets will train in NDA and cost Their administration and logistics shall be borne by the Federal government. In response to requests from candidates for Materials, the Academy has offered a Compendium of Questions and answers passed to interested candidates who They can be purchased at the Academy Registry, NDA. Still not clear! send me your comments below. The post Nigerian Defence Academy (NDA) 69th Regular Course Admission Application Form Is Out (Register Here) appeared first on 360Nobs.com.